Over the past few months, we have been seeking to develop the group making sessions in another of the care homes, working alongside residents to co-produce proxy objects and ‘objects of exchange’ as design prototypes that capture and represent personal and collective stories. Evolving from the creative workshops where residents produced ‘tokens of value’ – inscribing wax tablets with a representation of significant memories that were later cast into bronze – we initially offered the same materials and making-based approach to residents of the second care home. We suggested that these tokens could then be exchanged amongst the group with the stories they represented (with or without embedded technologies), thus sharing residents’ experiences with each other and strengthening the home’s community in the process, using these unique personalised objects as a focus. 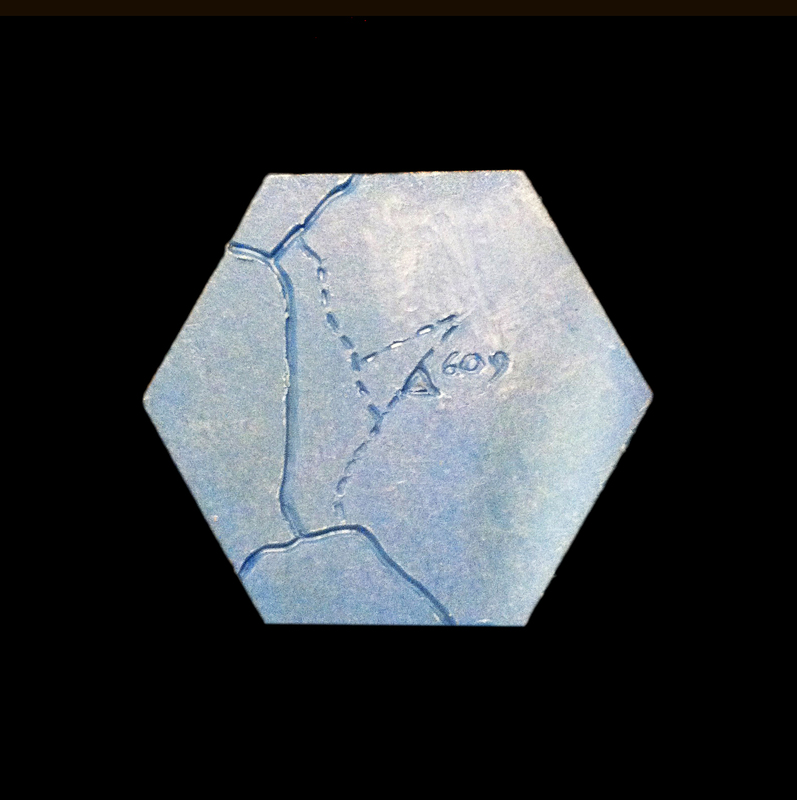 An example of a wax hexagon ready for casting. The surface has been inscribed with the route of a favourite or significant walk, traced from Ordnance Survey maps online. Google Street View was used to revisit the locations virtually. The reaction to this activity was mixed. The theme proved successful and generated one of the most animated and dynamic discussions that had taken place during the project. However, this success came at the cost of participants not engaging with the tools, materials or other creative processes on offer. How can landscape tangibles be used as proxy objects, standing in for landscape and objects unavailable to the storyteller? 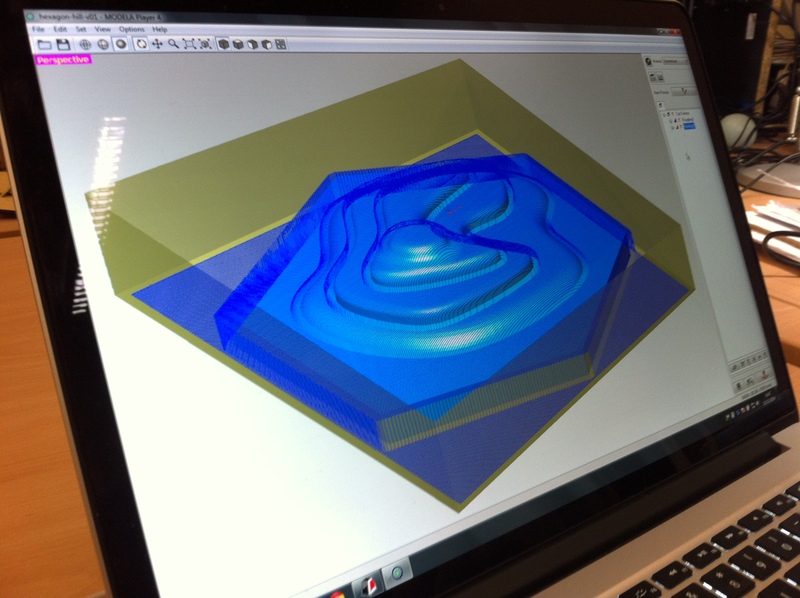 Can miniature landscapes aid recollection and storytelling through embodied interaction? Are ambiguous depictions conducive to more diverse use in storytelling, and can topographic tangibles encourage inclusivity in group sharing situations? 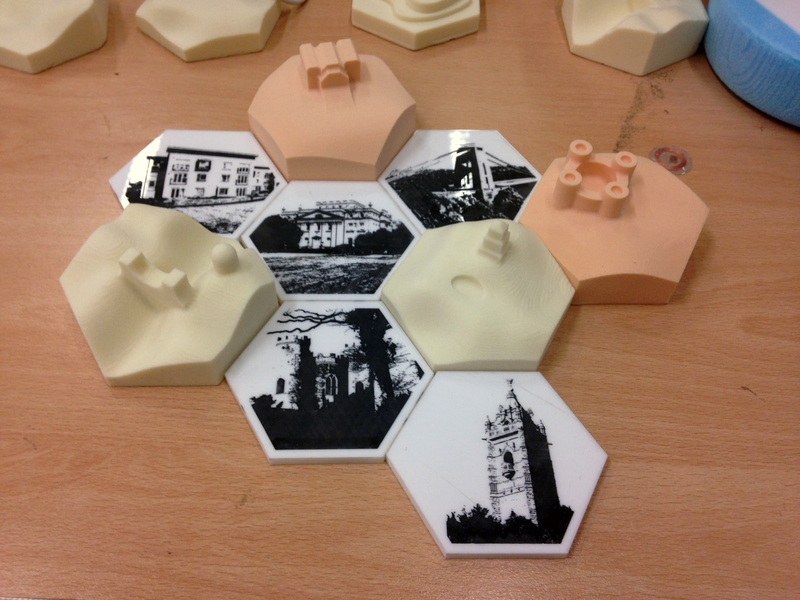 While the TopoTiles represent places of personal significance to the residents, (either specific or ambiguous), the tessellation of these miniature topographies seems to symbolise the network of shared histories across the care home, connecting the individual’s experience with their immediate community, united by a common encounter in the landscape.